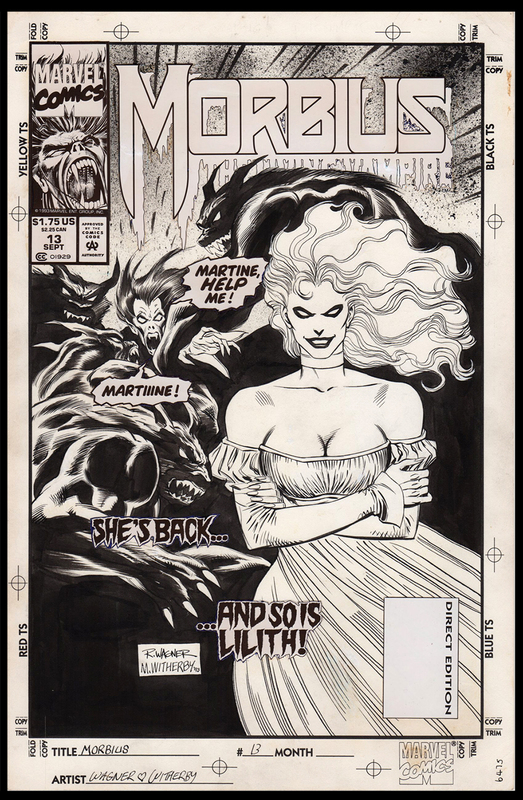 Spooky original cover artwork for Morbius the Living Vampire #13 (Marvel Comics, 1993) by the talented Ron Wagner (pencils) and Mike Witherby (inks). This cover has it all - Morbius crying out in desperation and reaching for his beloved, Martine who is being seduced by the evil vampire goddess Lilith, while a pack of voracious werewolves hinder and block him. 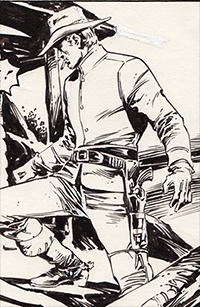 Intense dark drama in the Mighty Marvel Tradition - Just the way we demand it! There is a lot of excitement and anticipation surrounding Morbius lately, with the announcement that Sony is developing a feature film for the Living Vampire and possibly even a TV series.